The art of painting: by c. A. 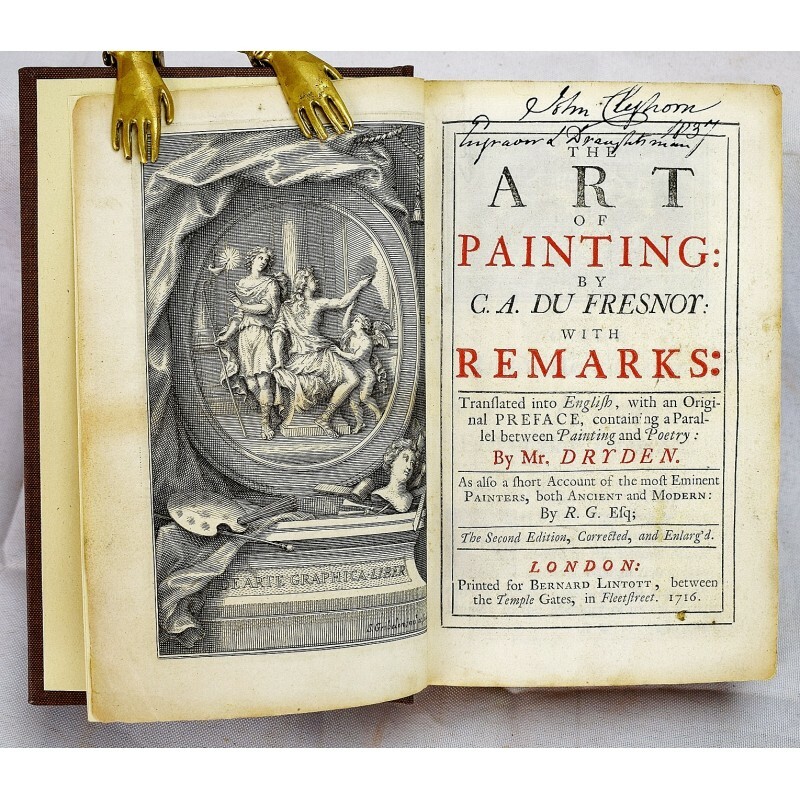 Du fresnoy: with remarks: translated into english, with an original preface, containing a parallel between painting and poetry: by mr. Dryden. 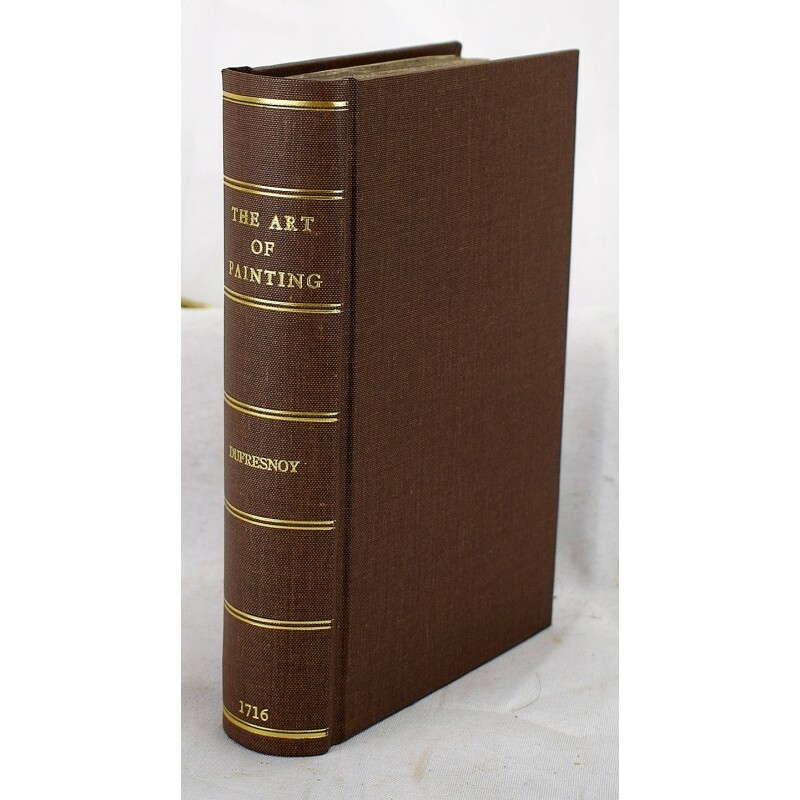 As also a short account of the most eminent painters, both ancient and modern: by the second edition, corrected, and enlarg'd. John Dryden's translation. 2nd ed. Rebound in modern brown cloth. Gilt lettering, gilt ruled. 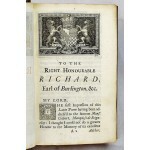 Includes engraved frontispiece. Title in red & black. 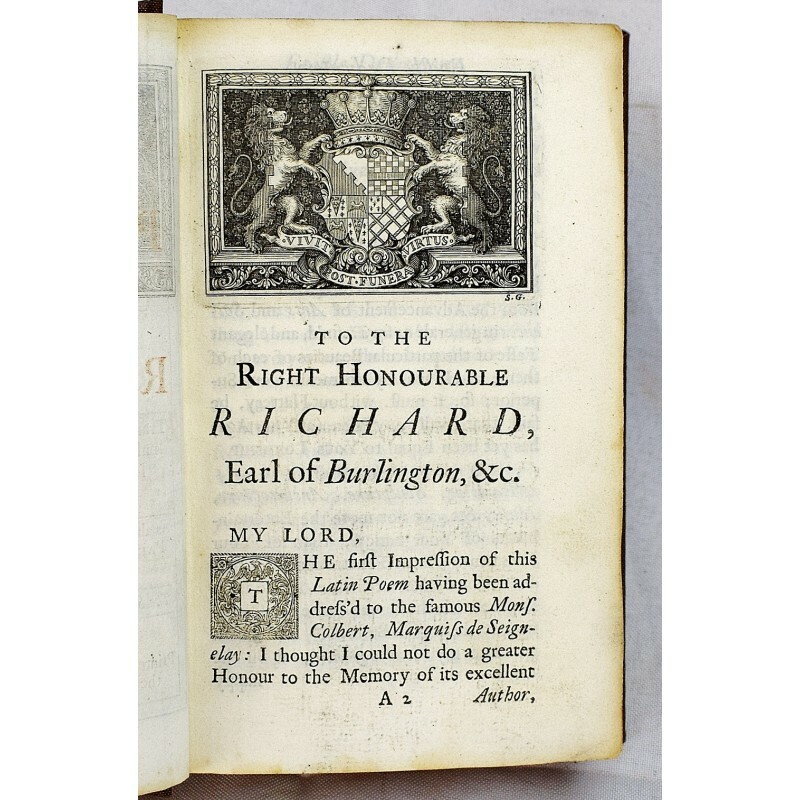 Early signature on title page. Old, light dampstain along bottom corner. 'A short account of the most eminent painters . 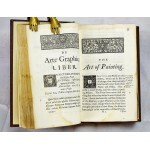 by Richard Graham', pp.-, has a special title page. 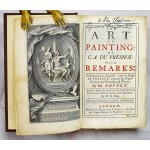 - 'Observations on The art of painting', pp. 81-221, is by John Dryden. 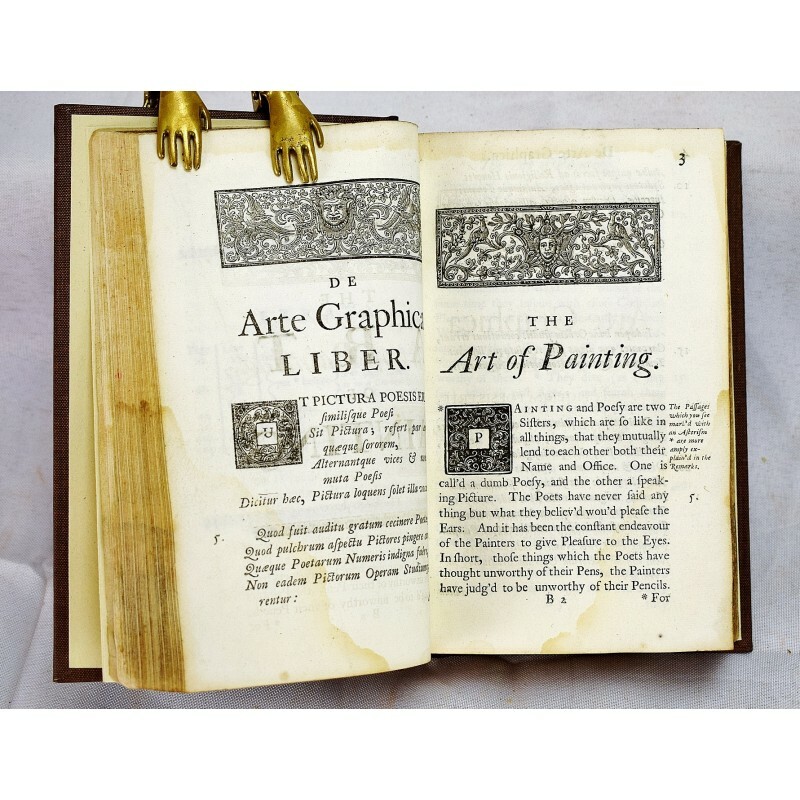 - 'To Mr. Jervas, with Frensoy's [sic] Art of painting', in verse, is by Alexander Pope. - English Short Title Catalog, ESTCN14578. - Parallel texts of du Fresnoy's Latin poem, 'De arte graphica', and Dryden's prose translation, modified by Charles Jervas. Refs: Griffith 46; Macdonald 139; Rothschild 1575. De arte graphica.